The Lincoln MKT and loaded Ford Flex are top domestic rivals to the Enclave; both of the Ford Motor Co. products will turn more heads than the Buick, with the Lincoln's interior feeling like a step up. 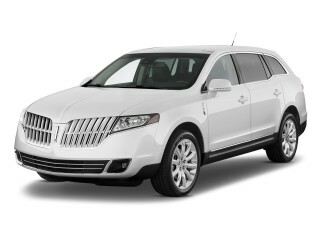 Otherwise, the 2011 Buick Enclave really is a viable rival to other luxury-brand vehicles. Only the Audi Q7 and Volvo XC90 offer three rows of seats, but their last rows are more suited for children than adults. 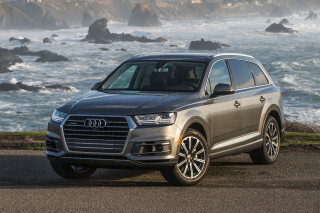 If power is your thing, the Volvo XC90 and Audi Q7 offer all offer optional V-8 engines in their crossovers, but these tend to be thirsty when it comes to fuel consumption. The Lexus RX 350 has a conservative interior ambiance that’s closest to that of the Enclave, if that’s what you like. The 2011 Buick Enclave no longer feels fresh, but it's still one of the most luxurious, passenger-friendly, and uniquely American family crossover wagons. When the Enclave crossover was introduced for 2008, it was segment-leading—and could be seen as the first of a new generation of Buicks. The 2011 Buick Enclave remains one of the better large crossover utility choices, but it no longer heralds the direction of the brand, which has over the past couple of years been refocused toward performance and a more European feel. 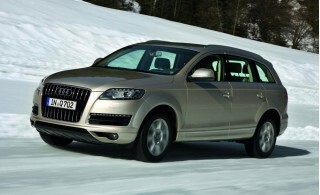 Available in either front-wheel-drive or all-wheel-drive configurations, the full-size luxury crossover has seating for eight and lots of cargo room, while delivering 16 mpg in the city and 22 mpg on the highway, according to EPA estimates (although these figures look to be optimistic in light of what TheCarConnection.com's editors have seen). That said, the 2011 Buick Enclave is a good-looking vehicle. With curvy, Coke-bottle sheetmetal, smooth chrome details including those borderline tacky 'ventiports' along the hood, and an instrument-panel design that borrows some Art Deco cues, analog clock up top on the dash, the look is classy, if a bit conservative. While the Enclave's V-6, rated at 288 hp, isn't as brawny as the EcoBoost V-6 that's offered in the Lincoln MKT and Ford Flex, it reaches higher into the rev range in normal driving compared to other vehicles in this class, which gives it a perky feel. That's no issue, as it's sweet and smooth. The six-speed automatic shifts smoothly, too, though it's hesitant in transitions or in hilly terrain. The Enclave might ride like a car, but it doesn't handle like one. That said, steering itself is about as nice as you can get for such a heavy, front-wheel-drive vehicle; again, you won't want to be changing direction quickly, but the Enclave can hold its own surprisingly well. It's a neat, roomy package overall, with three rows of adult-size seating (the third folds down flat) and an almost minivan-like feel inside—just without the sliding doors. The 2011 Buick Enclave is very conservative looking, but its curvy exterior and most of the interior are enough to impress most shoppers looking for a practical and luxurious vehicle. Although its design is now four years old, the 2011 Buick Enclave still looks classy and contemporary, with curvaceous fenders and glamorous detailing. The Enclave is almost the anti–Ford Flex; look down its bodysides and it's curvy and concave. The Enclave simply looks great—even better if you get it in black, which blocks out the body-color C-pillar that otherwise disrupts the flowing side glass. Another styling detail you either love or hate is the chromed ports alongside the hood; it's a cue from Buick's heritage, but it can be seen as either classy or tacky. The Enclave's interior is loved, too; it's subdued, luxurious, and high-quality throughout—and in many ways, a revelation for Buick—although it's beginning to feel a bit more like the Buick of old than the fresh new Buick we've seen of late. The Enclave's interior design is attractive, but there are a few more dull surfaces and hard plastics than you might expect from a vehicle in this class, and there's none of the more cockpit-like appeal that's been brought to the brand's newer products. A Deco-style arch in the middle of the dash features a somewhat cheap-looking chromed analog clock, mounted on a dull plastic background—an ever-present, half-hearted effort at luxury—while most of the rest of the Enclave interior feels luxurious, if a bit conservative. If GM is attempting to establish a more pedigreed, European-style driving feel for Buick's vehicles, the 2011 Buick Enclave still hasn't gotten the memo. That said, the Enclave performs reasonably well; it's just not pulse-raising or noteworthy in any performance respects. Under the hood, the 3.6-liter direct-injection V-6 engine makes 288 horsepower and 270 pound-feet of torque, burning regular gasoline; it's mated to the Hydra-Matic 6T75 electronically controlled six-speed automatic transmission that features automatic grade braking, shift stabilization, and precise shift control. Although the Enclave won't wow with 0-60 numbers, real-world acceleration is good—impressively, 90 percent of the engine's peak torque is available from 2,500 rpm to more than 6,000 rpm. However, on the highway the transmission can sometimes be caught hunting for the right gear and, in the process, jostling its occupants. That might be because the transmission has wide ratios and is designed to compromise between performance and fuel economy. And if you need to drag a couple of SeaDoos or a single-axle trailer with a small boat, for instance, no fear: the Enclave can tow up to 4,500 pounds—an impressive figure for this type of vehicle. One of the down sides of the Enclave driving experience is its heavy overall feel and ponderous size and weight. At more than 200 inches long, the Enclave is downright long by today's standards, and it can prove difficult to park and maneuver. And with a curb weight of about 5,000 pounds, it's hefty. You feel that weight whenever you're starting, stopping, or making any abrupt change in direction, and the Enclave has more nosedive in hard braking than any other vehicle we've been in recently—minivans included—but the brakes are confidence-inspiring, with a firm pedal feel. 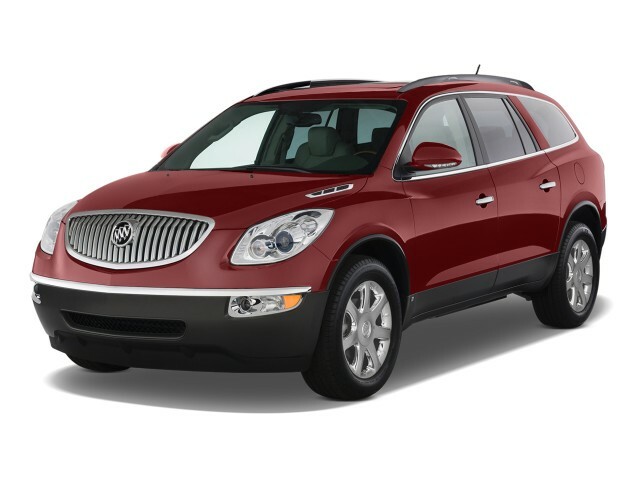 The 2011 Buick Enclave has a very roomy, passenger-friendly design, along with a exceptionally muted, smooth ride. The front seats in the Enclave are nothing special; they're large and wide, but overly soft. But when it comes to pleasing passengers—especially those who have to sit behind the front seats—that's where the 2011 Enclave shines. Throughout, the 2011 Buick Enclave has impressive interior space. A standard third row and overall space for up to 7 or 8 people (depending on the configuration) make the Enclave a reasonable minivan substitute. The third row's a real third row, too, and not just designed for small children with nonexistent legs. Storage is also plentiful, with over 23 cubic feet of space behind the third row when the cargo management system is removed, and if you fold down the second and third rows, you'll free up over 115 cubic feet of cargo space. The Enclave's back seats fold down to a completely flat cargo floor, allowing a minivan-like space behind the second row good enough for just about any purchase from big-box stores, and the second tow tilts forward for even more space. Aside from the long rear doors—necessary to allow entry to the third row. The second-row chairs sit a bit higher than in most other large crossovers; you get a good view out, and the position is comfortable for adults. The third-row seat is the largest in this crossover class; adults can sit back there—including those way over six feet. The seat's a little low and crunched, but you can do it for a trip out to the soccer game. Ride quality is near perfect; it's muted and smooth, resulting in an exceptionally quiet interior compared either to other crossovers or rival GMC Acadia or Chevrolet Traverse versions from GM. The suspension is soft and absorbent but never bouncy—although there's a fair amount of nosedive during hard stops. The Enclave suffers just the slightest bit for its optional 20-inch wheels and tires, with the ride a bit unsettled, but even then it's softer and more refined than other seven-seat crossovers. The long wheelbase works well over bumps, but will give you pause even in a Home Depot parking lot; the turning circle can't cut in as closely as you might expect. But it all comes together on the open road; in fitting with Buick's long-held reputation, the Enclave is a smooth operator at freeway speeds especially. A 20-inch chrome-clad wheel package is now available for the 2010 Buick Enclave, along with optional 19-inch wheels also featured on the 2009 Enclave; as usual, be sure you test drive a model equipped with larger wheels before purchasing, as the ride quality tends to suffer a little. Interior materials and trims in the Enclave are quite good overall, though some of the dull plastic on the instrument panel feels a bit out of place in a vehicle that can cost nearly $50k. Families can rest assured; the 2011 Buick Enclave is one of the safest choices in this class, with high crash-test scores and an arsenal of standard safety equipment. The 2010 Buick Enclave has all the makings of a very safe vehicle, with standard front-seat side airbags, full-length side-curtain airbags, and electronic stability control. OnStar's Vehicle Diagnostics even monitor the stability control system. While there's a lack of full up-to-date crash-test results for the Enclave, it's earned some impressive results that would indicate excellent overall protection. Although the Enclave hasn't yet been tested in the Insurance Institute for Highway Safety (IIHS) roof strength test, it's earned top 'good' scores from the IIHS in frontal and side protection. The National Highway Traffic Safety Administration (NHTSA) scored the 2010 Buick Enclave at five stars for front and side impact protection, while giving the big crossover four stars for rollover resistance. The federal agency has recalibrated its tests this year, and the 2011 Enclave hasn't yet been rated. There can definitely be some sticker shock with the 2011 Buick Enclave. But keep the options down and you could have one of the better bargains in this class. At first glance, the Enclave probably won't look like a very strong value; that's because while the base Enclave starts in the mid-thirties, the more luxurious and desirable Enclave CXL2 can approach $50k. 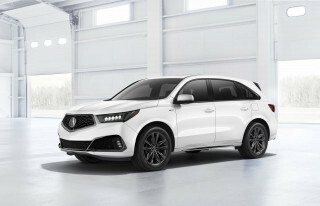 In line with more prestigious models like the Lincoln MKT, Acura MDX, Lexus RX 350, and even the Volvo XC90, that's not cheap. But the 2011 Buick Enclave is equipped just as well as those other models, if not better, so it's worth considering that if you just want a well-equipped family wagon—and you might be just fine with the standard equipment. Even the base model of the Enclave comes with a few features, such as a power liftgate, that are usually optional or limited to top trims. In any of its trims, the Buick Enclave comes very well equipped, though the range-topping CXL trims pile on a level of luxury and tech features that might be surprising to see in a Buick. And at the top end, the 2011 Buick Enclave can be ordered with a number of features, such as a ten-speaker Bose surround-sound stereo, three-zone climate control, a power rear liftgate, a head-up display (HUD), GPS, a two-panel sunroof, and backseat DVD entertainment system. 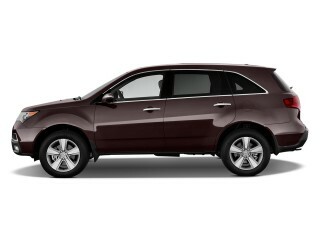 A 19-inch wheel/tire package is available and looks sharp, and new for 2010 is a 20-inch chrome-clad wheel package. Be sure you test drive a model so equipped before you buy, as the ride quality suffers a bit. Other available features include heated and cooled driver and front-passenger seats, Bluetooth for a hands-free phone interface, XM NavTraffic, and OnStar Destination Download; all models now include a USB interface. Fuel economy for the 2011 Buick Enclave is about typical for the class, perhaps on the low side. GM boasts that the transmission's wide span of gear ratios, enabling a short first gear and very tall fifth and sixth gears, provide both impressive performance and fuel economy, but we haven't seen the latter. EPA fuel economy ratings are 17 mpg city, 24 highway, but they seem a little optimistic based on the real-world observations of our editors along with other review sources. and over nearly 100 miles of driving, a good mix of conditions including about a third of that around town and a third on the highway, our editors saw just 17 mpg altogether, according to the trip computer.